Ryan Millington is racing for a cause. Ryan Millington always knew his mother was Missisquoi Abenaki, but he never understood his Native American heritage until he began racing for the Vermont-based Abenaki nation as well as himself; a revelation that has changed the 16-year-old Statesville, N.C., resident. Millington carries the tribe’s flag on his NASCAR Whelen All American Series Late Model and donates 10 percent of his winnings to the tribe. Abenaki Chief Lawrence “Moose” Lampman says the driver’s generosity will allow the tribe to employ new people and heat its buildings in the winter. It’s a commitment Millington plans to continue as his career progresses. He noted Lampman has worked with him extensively and taught him a great deal about the tribe; a requirement he made of the teenager before he would allow him to carry the tribe’s flag on his race car. This year Ryan is battling Charlie Watson for the Late Model track championship at Hickory (N.C.) Motor Speedway. With five races left in the season, Ryan trailed Watson by a mere 16 points. They split the Aug. 12 Twin 40s, which gave Ryan eight victories this season. He also possessed nine poles, 21 top-five and 23 top-10 finishes. “He’s done exceptionally good (this season),” Scott noted. Ryan received his first taste of racing at about age 6 when his father, a veteran NASCAR crew member, purchased a Go-Kart for his son. After a few years in Go-Karts, Ryan advanced to Mini-Outlaws at Millbridge Speedway in Salisbury, N.C. 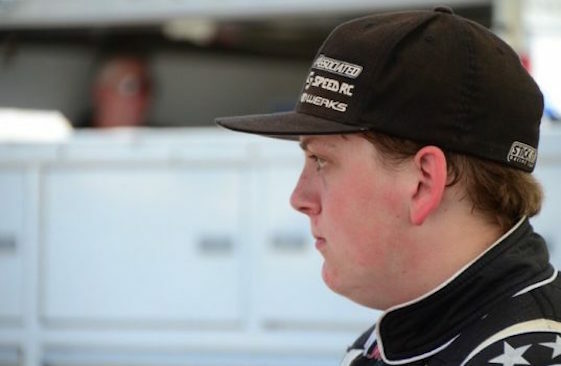 He transitioned to asphalt racing in 2014, competing in the Young Lions Legend division in Charlotte Motor Speedway’s Summer Shootout Series for two years. Today, the teenager occasionally returns to Millbridge, a dirt short track, but his primary focus is on his family-owned Late Model. That, however, is where is career may remain unless he’s accepted into NASCAR’s Diversity program.